If you saw my lip gloss post a few weeks ago (HERE) you will remember that the diego dalla palma brand is a new discovery for me. I first discovered it whilst browsing the beauty aisles in Marks and Spencer and was really impressed. Before Christmas I saw a beautiful Lipstick and Nail Enamel Kit in Pink Mix and immediately started lusting over it (and tweeting about it!). Sadly Santa didn't notice - but I was lucky enough to come across the set in the sales after Christmas! The Marks and Spencer beauty sale was actually pretty good and I also picked up some great Autograph mousse eyeshadow and lipsticks. I would imagine that stock would be running pretty low by now, so get down there asap if you want to take a look as I can't find them on their website. 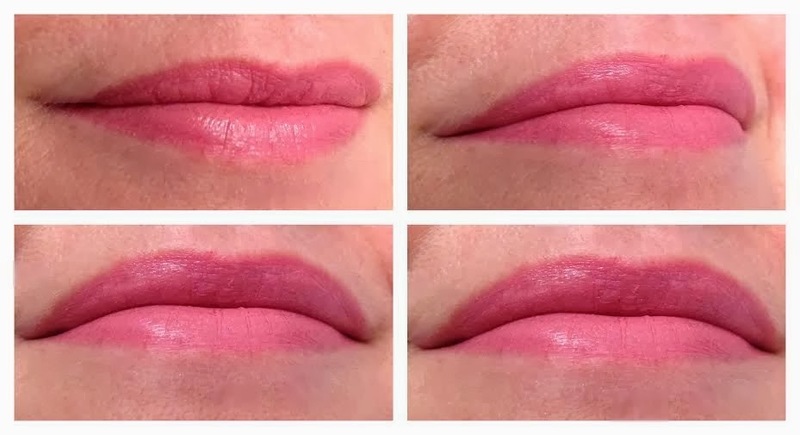 I posted yesterday about my interest in overcoming my fear of pink lipsticks (HERE) to find one that I can carry off. Then I remembered I hadn't tested my little diego dalla palma duo yet! The lipstick is numbered 46 and the nail polish is 25 although the shades don't have names on the packaging. The lipstick looks darker in the tube and the swatch than it does on the lips. It is a pale pink with a cool tone to it. It feels moisturising on the lips and has a vanilla smell which reminds me of a MAC lipstick. In fact I was keen to compare it against MAC Hue - the only other pale pink MAC lipstick I own. 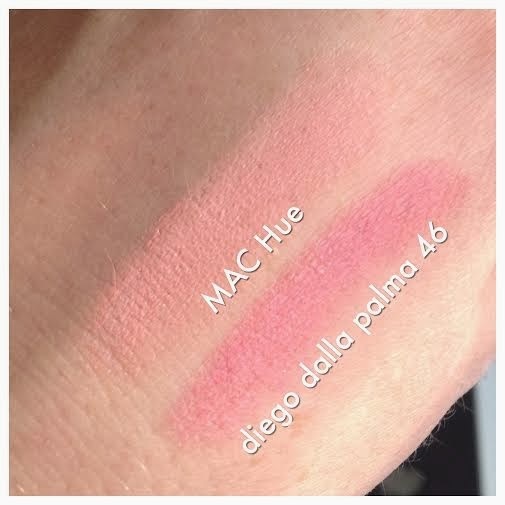 But actually Hue is a paler peachier tone and diego dalla palma 46 is a cooler rosier shade. I have been wearing the diego dalla palma today, and even though it is cool toned and verging into lilac territory - I think I'm pulling it off. Perhaps this is a new thing to explore for me. How bright can I go?! 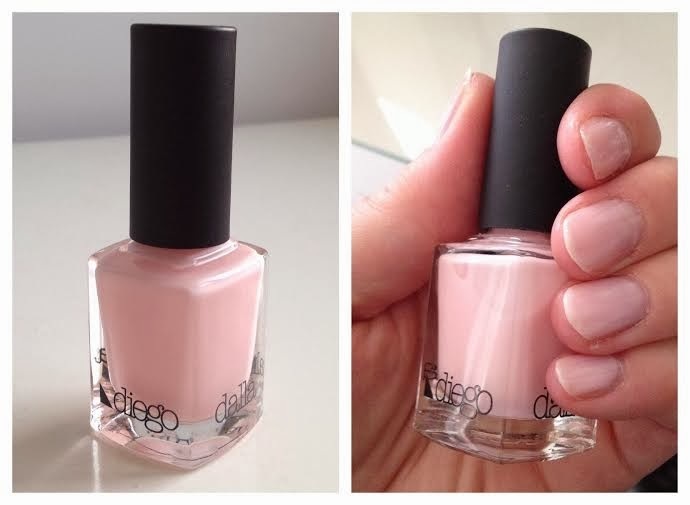 The nail polish is a beautiful baby pink, which is not as opaque as Essie Fiji but a couple of coats gives a great natural french polish appearance. The brush is regular - nothing fancy, but it applies well and doesn't go streaky. This shade would be perfect for weddings or the office or just day to day. It certainly makes a change to the bold glittery shades of December! This is a great gift set and they do a similar one in bright red if that is more your thing. I was really chuffed to pick this up in the sales for just £7 reduced from £20. Diego dalla palma lipsticks are usually £15 each and the nail polishes are usually £10.50 each - so this is an amazing bargain! Interested? Well the really good news is that I have just spied that this has been reduced even further and is now just £5 HERE!!! Have you spotted any great sale bargains? Or do you have any diego dalla palma reviews - because I would love to read them?